This day has been marked on my calendar for MONTHS!!!! 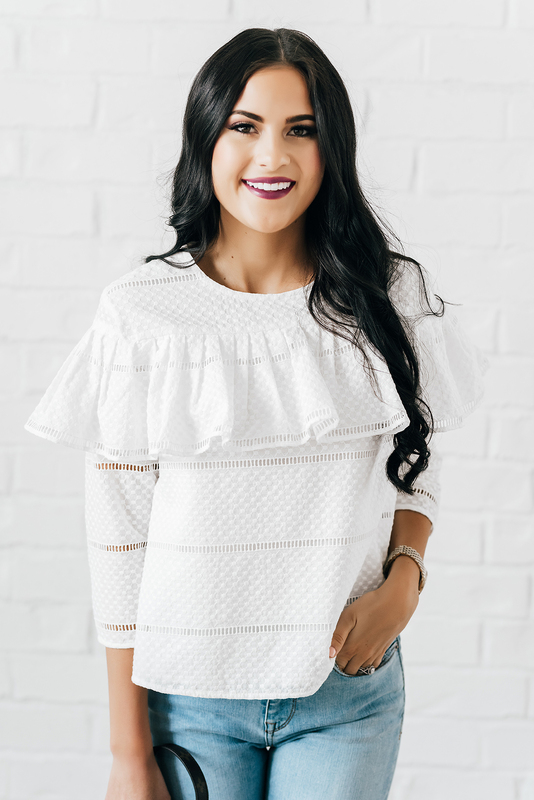 The Rachel Parcell Fall Collection drops today at 10AM MST and it’s my favorite collection yet! Every detail of these new arrivals are just so beautiful; from the lace, to the custom pantone colors, the unique trims, all the way to our new blush pink tags!!!!! It all just turned out so beautiful and I couldn’t be more pleased. When I was working on this collection I really wanted to focus on creating pieces that were timeless and transitional. I didn’t want it to be a dress you could only wear for one season. Every single piece can be worn not only in the fall but throughout the entire year and you can have fun with shoes and accessories to make each time you wear it special and different and seasonally appropriate. I wore the Powder Blue Lace Dress to church on Sunday and got so many compliments on the color (which we exclusively dyed to be an RP custom color). It’s even more stunning in person!!! Which piece is your favorite?? (I think mine is the Florence Chambray Dress!!). I always love to hear your feedback and thoughts on my designs!! Thank you, Fede!! Means a lot! the black dress is gorgeous!! Love these new arrivals!! My favorite is the white ruffled top! Love that top!! Thanks for the love and support, Rach! So exciting – and congratulations. I think my favorite is the Florence Chambray Dress as well. It’s so pretty! Same!!! It’s even more gorgeous in person! All so pretty and ladylike. Oh my gosh I absolutely adore your new pieces! I can’t decide what I love the most, but I think it has to be the blush lace top and skirt and the blue dress- my two fave colours! What a wonderful job you’ve done, you should be so proud! I absolutely LOVE that chambray dress!! ME TOO!!!! It’s my fave! I love the eyelet ruffle top!!!! It’s perfect for fall. Such a cute collection!! Thanks Amanda!! I love that one too! Love all the pieces! Great for building a wardrobe. The black dress is a must & the cute white top along with the chambray dress are perfect for everyday! I am in LOVE with the blush dress… I love this! Also love the jean outfit, great choices! Rach! These are gorgeous! I can’t decide between the powder blue one, the chambray or the black… the black is so classy and unique! I love all of those too!! Thanks Jen! I’m in love with the Florence Chambray dress! But your exquisite taste is on all the pieces though? OMG the last blue dress is to die for!!! Love what you have in store for fall!! Especially that first light blue dress. Aw everything looks so beautiful! So cute but still chic! Everything is beautiful! (as usual) :) I ordered the powder blue dress and the white top. I am still debating on the lace top and skirt set… eek!! Congrats on another successful launch, Rach! Thanks Niki!! Let me know when you get your pieces and what you think of them! I’m loving the lace dresses and structured tops! All about both of those things for fall! Thanks Mollie! Glad you like the new collection! Flutter sleeve dress in black needs to make it’s way into my life. I love every single piece from the collection and I’m not just saying that, you did a fantastic job in including both classic pieces and trendier styles. I really love the black and chambray dresses especially. Thanks for sharing, beauty, and I hope you’re having a great week so far! Oh my goodness Mrs. Parcell! You are such a beautiful young woman and an inspiration to me! I’m always looking forward to your posts… I can honestly say they make my week and have me dreaming up designs of my own ;) Never forget YOUR Designer! Love the first dress! Beautiful collection! Fantastic new pieces, you’re looking lovely! Thanks so much! It’s one of my favorites too! Aren’t those sleeve amazing?!?! Glad you like the new collection! Thanks Colleen! Thank you so much for the suggestion, Janet!! I appreciate it and will see if we can do anything with a lower neck in the future! I just love your line of clothes so much, but they are way out of my price range. I work in an office environment with a little bit of creativity and your line is perfect for my office! Love all of these pieces! But the black dress with the flutter sleeves is definitely my fave! Your new collection is amazing! Congrats Rachel! All the pieces look amazing and you are wearing them so well!! Oh my gosh I LOVE that black flutter sleeve dress! So simple and classic. This might actually be my favourite of your collections to date! Every single piece is gorgeous! I love the attention to detail. Really, really gorgeous! These are so beautiful! I love the lace and lighter colors but really love that black dress too! So chic and classy! That Florence Chambray dress is calling my name!!! Such a beautiful fall line! wowow those are fantastic, I really love them! You have done such a great job with your clothing line! Every piece is stunning! Thank you, Janey! It means a lot! I Love your dresses and I am so sad, that you don’t ship to Germany? Is their any possibility to order your collection and ship it to Germany??? We hope to ship internationally very soon!!! I’m sorry!